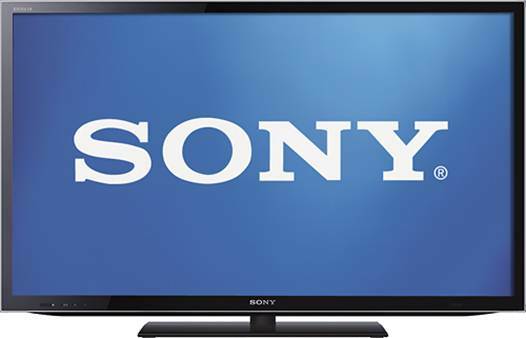 The 46HX750 is one of four new models from Sony’s lasted HX750 range of LED-LCD TVs. Like its brethren, it features a Full HD, edge-lit screen with active shutter 3D technology and smart TV functionality. With an RRP of $2,299 it’s a thousand dollars cheaper than the same size screen from Sony’s HX850 range despite the higher model number it’s an older generation screen. However, for the cheaper price you don’t get the Gorilla Glass screen of the HX850. The image processing and backlight scanning specs are also slightly lower. Style-wise it probably isn’t going to win any design awards. It features a plain black bezel around the screen sitting on a plain black rectangular foot. Minimalists out there should appreciate this look, at least. The remote control is fairly standard issue. With my focus mainly on the 46 HX750’s smart TV features, I connected the TV up and was pleasantly surprised by a simple setup wizard which got everything up, running and connected to the internet in no time at all. Eager to check out some apps on the TV I was confounded by the fact that there are two separate ways to access them. One is called SEN (Sony Entertainment Network) and is beautifully paid out and functional with a more than passing resemblance to Microsoft’s Metro graphical user interface. The other is XrossMediaBar (XMB), which is the horizontal/vertical menu navigation system also found on the PlayStation 3. In my opinion, XMB just serves to clutter what could have been an elegant and easy to use menu system. Whilst both options could access media streaming services and other apps, only XMB appeared to be able to find and use network connected storage devices and dream media from other drives or computers on my home network. Personally I think Sony need to implement this functionality in the SEN interface. Remove streaming and smart functionality from XMB leave it for all the less interesting stuff like system settings. Using the web browser is nothing short of painful when using the TV remote thankfully there is a Media Remote app available for Android or iOS smartphones and tablets. The app gives you a much needed cursor and keyboard, plus the ability to “catch & throw” open web pages between your TV and phone. In term of picture quality, the 46HX750 is a hit and miss affair. Like any decent LED-LCD TV it has a crisp, bright picture, and it can produce a deeper black level than more expensive sets I have seen. However, the viewing angle is somewhat narrower than I’ve come to expect of modern sets. Its 3D performance is unimpressive with noticeable crosstalk. Sony’s Motion flow technology does a decent job of motion smoothing/frame interpolation if you like using this feature. Film snobs and hipsters love to moan about the dreaded “soap opera” effect but I think it can improve certain types of video content if it’s done right, which it mostly is on the Sony 46HX750. For a smidge over two grand the 46HX750 is good value for money, providing a decent size screen, active shutter 3D technology and full smart TV functionality even if the “smart” implementation leaves a little to be desired. A good choice if you want a big 3D smart TV without remortgaging your house. The astute reader will have noticed that there is considerable overlap between the “smart” functionality of smart TVs and the internet enabled apps and content streaming capability of media players. This leads to the question of whether it is better to go for one or the other if you want all of this functionality. The answer relies on a little bit of context. Let’s say you already have a big screen telly that doesn’t have any smart functionality adding a media player is obviously the easiest and cheapest way to access internet content and digital media playback. If you are looking at buying a new TV however, my recommendation would be to get one with all the smart functionality that you need and want, then flag the media player altogether (which should offset the cost of getting a slightly better TV than you initially might have). Why? As you have seen, a good smart TV offers most of the functionality of a media player, plus it would just add another remote control to the coffee table and another box to the entertainment unit. SteelSeries Siberia V2 Full Size Headset - The Suspension!